These often overlooked treatments can do wonders for a complexion. They balance the ph of the skin. and one of my personal favorites is our neroli age corrective hydrating mist can also be used on the hair as a way to stop flyaways. 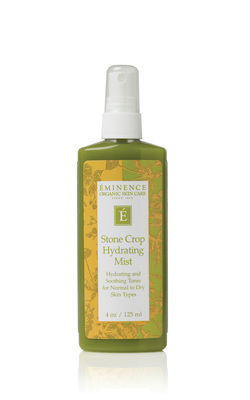 In the summer i keep stone crop hydrating mist in the fridge for a quick spritze to calm and soothe my face after being in the sun.